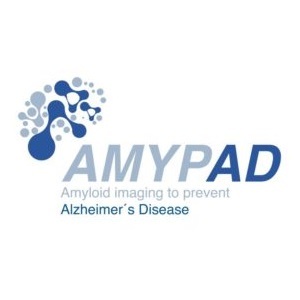 The members of the Amyloid Imaging to Prevent Alzheimer’s Disease (AMYPAD) initiative proudly announced the recruitment of its first research participant today. The first participant was recruited in Geneva, Switzerland, within the diagnostic and patient management sub-study (DMPS) of the AMYPAD project. In this clinical study, researchers aim to include subjects suspected of possible Alzheimer’s disease and determine the usefulness of β-amyloid imaging as a diagnostic marker for Alzheimer’s disease. The study will involve people with dementia, but also subjects with mild cognitive impairment (MCI) or subjective cognitive decline (SCD), and will study the impact of β-amyloid PET on both diagnostic confidence, patient management and resource utilisation. The ambitious Europe-wide initiative aims to improve the understanding, diagnosis and management of Alzheimer’s Disease through the utilisation of β-amyloid PET imaging. The 5-year large-scale study involves 15 organisations including academic and industrial partners, SMEs and patient organisations, and it is funded by the IMI-2 program. Congradulations to the Geneva team!